I’d like to think Cara is the great woman standing behind me rolling her eyes at my circus brain and picking up the pieces of the wreckage my ADHD tornado leaves behind me. As many of you know, I love to go against the grain and strain my creative muscle when it comes to art projects. Unfortunately, these art supplies are not cheap. Luckily, I think I’ve found a way to keep on spreading the good rebellion word and still get art supplies AND put food on the table! I have calculated the cost of how much it would cost to order and ship blank shirts as well as getting one can of spray paint, and that total comes to $12. 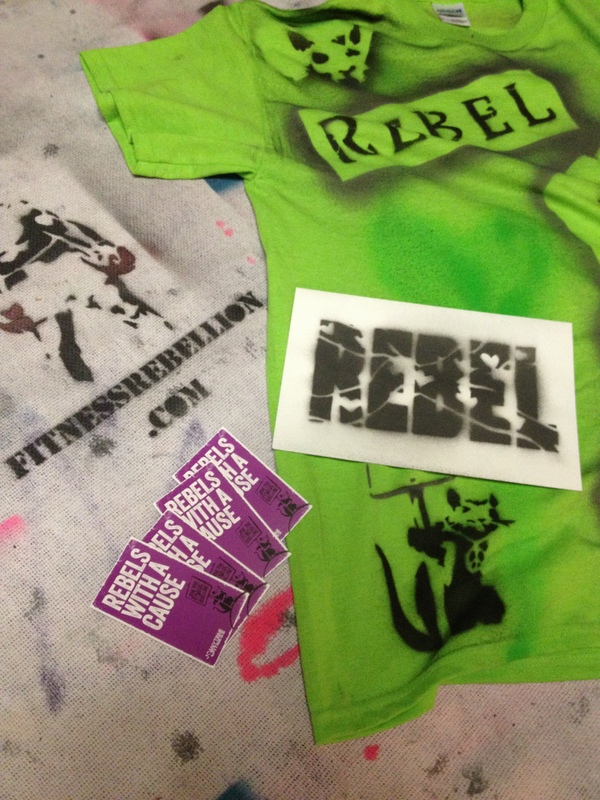 For $12 I can custom make you a Rebel shirt to make shirt your outfitted with the newest movement gear! 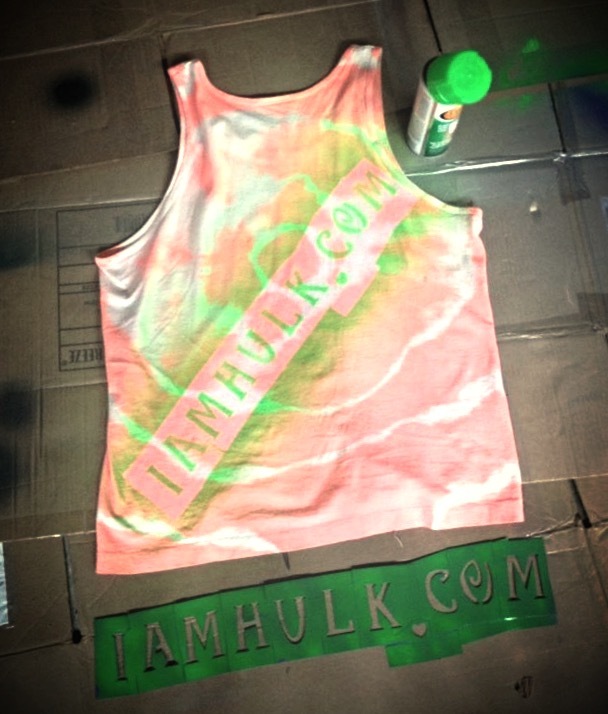 I have 4 colors I’m offering (Electric Green, Purple, Teal, and Orange to make sure the world sees ya!) with sizes going up to 3X. The shirt material is a 50/50 Poly-Cotton T-shirt blend perfect to workout in or rock for no reason. Be sure to include your shirt size and color request in the special instruction box available upon snagging your shirt! So, I’ve provided an easy access PayPal system to make sure this runs super smooth and is easy for everybody! Thank you for helping spread the Rebellion word! Click on “Buy” to get yourself a custom Rebellion T-shirt! 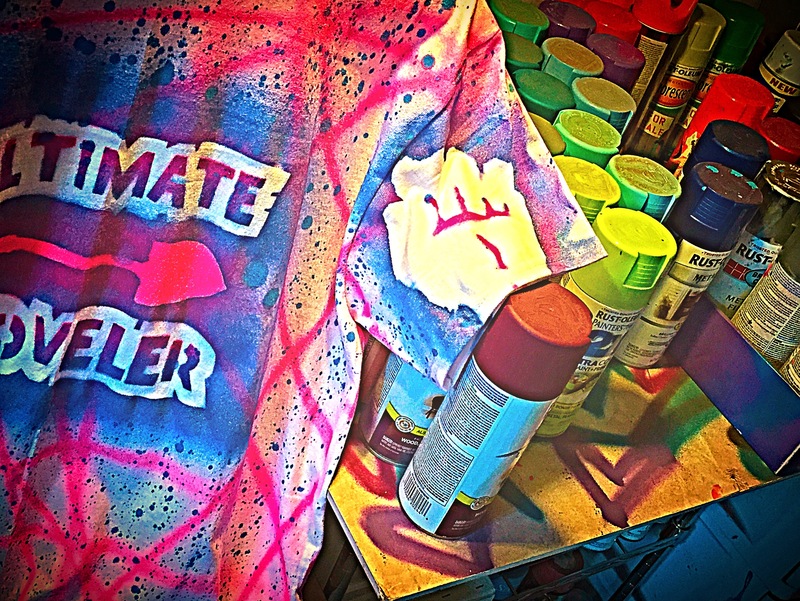 Click on “Donate” to help out various Rebellion art projects by donating a can of spray paint! A sampling of over 100 shirts made :).